Featuring guest appearances by sax great Dave Liebman and Singer Sivan Arbel, his new album is a musical statement of heritage and experience that includes a vocal turn by Mintus, himself. 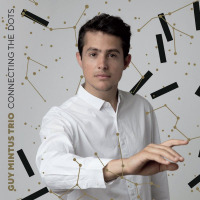 New York-based, Israeli jazz pianist-composer Guy Mintus is releasing his new trio album, Connecting the Dots, on February 15, 2019 through France's Jazz Family label. Mintus is a learned, well-traveled and much-honored musician. 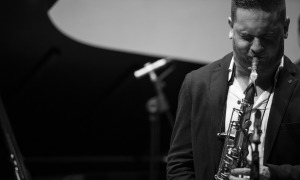 His awards include the Prix du Public at the Montreux Jazz Festival's solo piano competition, two ASCAP Foundation/Herb Alpert Young Jazz Composer Awards and, in 2018, the ASCAP Foundation Leonard Bernstein Award. In addition, the Mintus Trio's debut album, A Home In Between, was selected as a DownBeat editor's pick." 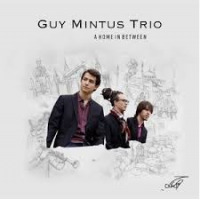 DownBeat's Brian Zimmerman called Mintus an artist of prodigious talent and boundless ambition. In reviewing A Home in Between, All About Jazz said it is an outstanding piano trio disc that heralds the arrival of a significant talent and a superb band." And New York Music Daily raved, best trio album of 2017 by a mile, so far." A descendant of Polish, Iraqi and Moroccan Jews, Mintus has made New York his home for the past six years and has taken his music to locales as varied as India, Turkey, Brazil, Canada and many European cities. 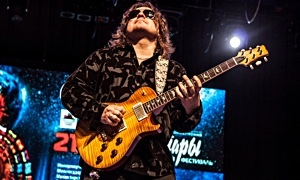 He has collaborated and/ or shared the stage with such artists as Jon Hendricks, Trilok Gurtu, the Afro-Latin Jazz Orchestra, and ska-punk band Streetlight Manifesto. 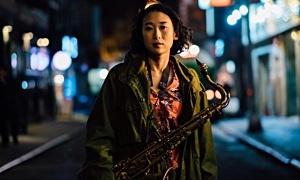 The ambitious new Connecting the Dots collection touches on a broad variety of musical worlds and is a musical summation of Mintus's ethnic and musical heritage and his experiences and interests. It wanders easily from the hard bop of Horace Silver's Yeah!" to the floridity of Little Italy," a Mintus original, to the carefree strut of another Mintus original, Nothing New Under the Sun." Most striking, perhaps, are the performances that evoke the exoticism and spirituality of Mintus's native Middle East. A poem, Hunt Music," by the mystical 13th Century Persian poet, Rumi, is given an inspired musical setting by Mintus, with an English translation of Rumi's words sung by Israeli vocalist Sivan Arbel. An arrangement of the traditional Jewish High Holy Day prayer, Avinu Malkeinu" features a haunting sax solo by jazz veteran Dave Liebman. And, to celebrate his own Mizrahi Jewish heritage, Mintus performs (and sings) a Hebrew language hit associated with the late Israeli Yemenite singer, Zohar Argov. The other members of the Mintus Trio are bassist Dan Pappalardo and drummer Phillipe Lemm. Aside from his work with the Trio, Mintus has been busy with an array of other projects. He recently performed Gershwin's" Rhapsody in Blue" with the Bayerische Philharmonic and premiered his own full-length work, a piano concerto inspired by the journey of the Jews of Arab origins immigrating to Israel in its early days, for the Israeli Chamber Orchestra. He has been commissioned to compose works by the American Composers Orchestra, the Jerusalem Symphony Orchestra and the Jerusalem East & West Orchestra, In addition, he has contributed original music and piano interpretations to Fiddler, a forthcoming documentary about Fiddler on the Roof, directed by Emmy-nominee Max Lewkovicz. In the spring of 2019, Mintus will make his theater debut, starring as an aspiring young pianist in a new musical at Tel Aviv's Carmeri Theater.